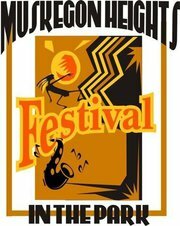 Registrations are now open for this year’s Muskegon Heights Festival in the Park, which will take place from Thursday, June 13 through Saturday, June 15 at Rowan Park. Some events from last year will not be returning, most notably the 5K and golf outing, but an art fair, flea market, health fair, chicken cook-off and Gospel in the Park are on tap. 2013 will also mark the 31st year of the Festival in the Park Parade, which has grown to be one of the largest in the county. Registrations for the annual Festival in the Park parade and any associated registration fees must be turned in to the committee by May 31, 2013. A $25 registration fee will be charged to commercial entities, but nonprofits can enter at no charge. Among other information, registrants should submit information on what type of unit will be in the parade (float, car, walking people), the number of people in the group, and any pertinent information on the group for the public address system at the parade. Questions can be directed to Jeannette Casson at (231) 740-3001. The Festival in the Park annual chicken cook-off will take entries in the categories of barbeque chicken, baked chicken and fried chicken. Teams of more than one person must designate a chief cook when registering. A $25 entry fee is required for each category entered. Contestants can set up any time on Thursday, but all chicken must be prepared on-site after judges inspect all unprepared meat at 4 p.m. Prizes will be awarded for 1st and 2nd places in each category, and electricity will be provided upon request. Questions may be answered by picking up a registration form at city hall, or calling Mimi Rankin at (231) 578-2099. The Festival in the Park arts & crafts fair will take place on both Friday and Saturday in the Rowan Park parking lot. Unloading and setup will take place from 9 a.m. to 11 a.m. on both days, with the fair running from 12 p.m. until 9 p.m. There is a $50 fee for a 10-15 foot space in the fair, and must be paid by June 10. Questions may be answered by picking up a registration form at city hall, or calling Mimi Rankin at (231) 578-2099. No electrical access will be provided to participants. A nonprofit health fair will take place both on Friday and Saturday. Registrants should provide a $50 registration fee, information on the media they will be displaying, as well as their federal nonprofit ID numbers. There is no electrical access. A flea market will take place from 9 a.m. until 5 p.m. on Thursday, June 13th. A $50 fee will get you a 10-foot by 10-foot space and must be submitted by June 10th. No electrical access will be available. Vendors must set up from 7 a.m. until 8 a.m. on that Thursday. Questions may be answered by picking up a registration form at city hall, or calling Mimi Rankin at (231) 578-2099.